What better way to spend Friday the 13th then to indulge in films of horror, thriller, fantasy and mystery at the biggest genre film festival in Asia? 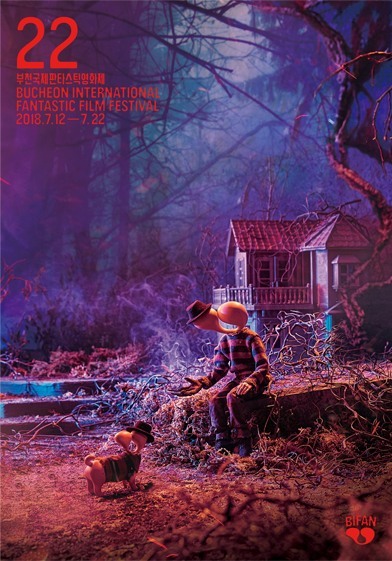 The 22nd Bucheon International Fantastic Film Festival kicked off Thursday at the western city of Bucheon, Gyeonggi Province, to showcase 290 films, 163 features and 127 shorts. Out of the 53 countries represented on the silver screens, one participant stands out. Nine films shot in North Korea were cleared by the government for screening at this year’s BIFAN, which marks the first-ever public showing here of the movies from the communist neighbor to the north. Viewing North Korean movies has required a series of conditions such as pre-registration, submitting one’s name, phone number and the resident registration number upon viewing. For BIFAN, such restrictions have been lifted, as the usually icy inter-Korean relations show indications of thawing. “A First Letter from an Unknown Country” is the theme of the special screening session that will showcase three feature films and six short films from the North. The lineup includes “The Story of Our Home” that won the best film award at 2016 Pyeongyang Film Festival and short film “Let’s Keep the Traffic Order.” Keeping true to the festival’s theme, a classic monster film “Pulgasari” will also be shown. “Comrade Kim Goes Flying” is perhaps one of the North Korean films best known to the outside world as UK and Belgium film officials co-produced it. The opening ceremony was held Thursday at Lawn Square, Bucheon City Hall, where the closing ceremony on July 20 will also be held. Kicking off the festival will be the G-rated “Underdog,” directed by Oh Sung-yoon. 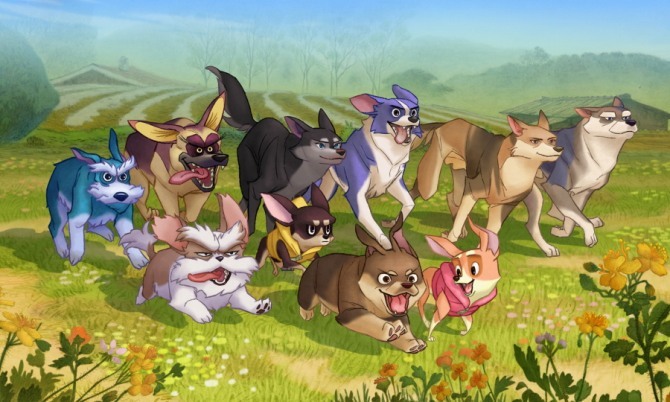 The animation follows the story of dogs’ journey to find real freedom, happiness and true selves. Appearing as voice actors are actors Park Chul-min, Park So-dam and K-pop star-turned-actor Doh Kyung-soo -- a member of EXO. Capping off the festival eight days later will be “Secret Superstar” by director Advait Chandan. The story of an Indian girl with a passion to become a singer will depict the troubles that ail women living in India. It stars Zaira Wasim and Aamir Khan. At the closing ceremony, awards will be given in categories of: Bucheon Choice for features and shorts, Korean Fantastic in features and shorts, European Fantastic Film Festival Federation Asian Award, NETPAC Award and BIFAN Children’s Jury Award. While the awards are given out to outstanding films, the festival is essentially a non-competitive one and the viewers can enjoy a variety of films in sections including World Fantastic Red encompassing action, horror, thriller genres, World Fantastic Blue with science fiction, fantasy, comedy and drama films, films of all ages in Family Zone, and films that challenge the viewers’ senses to the extreme in the Forbidden Zone. Local film superstar Jung Woo-sung will visit BIFAN for a special exhibition “Jung Woo-sung: The Star, the Actor, the Artist.” It will shine light on his 12 films, along with other events like a talk show, publishing of special booklet and a press conference on Friday. Actress Jeon Do-yeon was featured in last year’s special exhibition. BIFAN organizers stressed that one of the things that will stand out in this year’s festival is the remarkable breakthrough by female directors. Films by rising female directors will be featured, including Coralie Fargeat’s “Revenge,” and “A Bright Day” by Jagoda Szelc. Other significant genre films like “A Nightmare on Elm Street,” “Martin,” and “Lifeforce” will be shown through “Three Horror Masters And Their Eyes” program that will highlight the works of horror film masters Wes Craven, George A. Romero and Tobe Hooper. “The programmers (of BIFAN) worked hard to establish the identity of the film festival. We will screen films that are only introduced at our festival, and make sure that it is the best film festival in Asia,” said Jung Ji-young, the head of the BIFAN’s organizing committee. 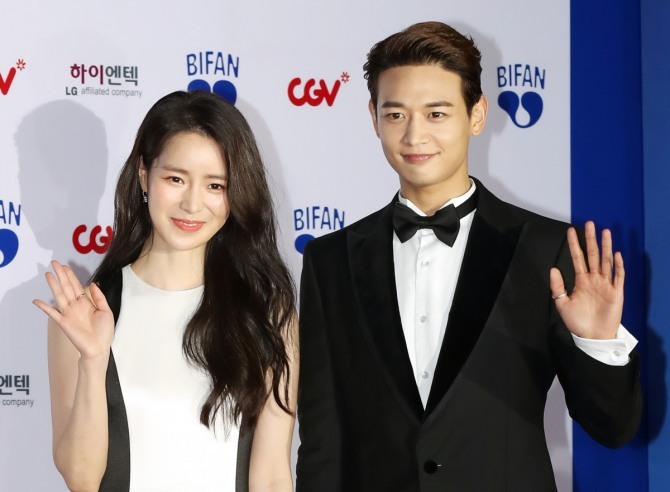 BIFAN, the annual international film festival, was first launched in 1997 to draw focus on films in horror, thriller, mystery and fantasy genres.